Tottenham Hotspur concerned Liverpool will hijack their swoop for Adrien Rabiot after The Lilywhites narrowly missed out on landing the midfielder in January transfer window, reports say. Frenchman was on the verge of a switch to Spurs from Ligue 1 giants Paris Saint-Germain before his father died and the star’s transfer plans took a backseat. Liverpool, Arsenal and Barcelona have been linked with Adrien, while Ole Gunnar Solskjaer’s Manchester United are the latest Premier League outfit thought to be thinking about a move. The Mirror state Spurs believe they are in real danger of losing Rabiot to either the Reds or Blaugrana in the summer, in spite of coming so close to signing the star in a £20 million deal the previous month. 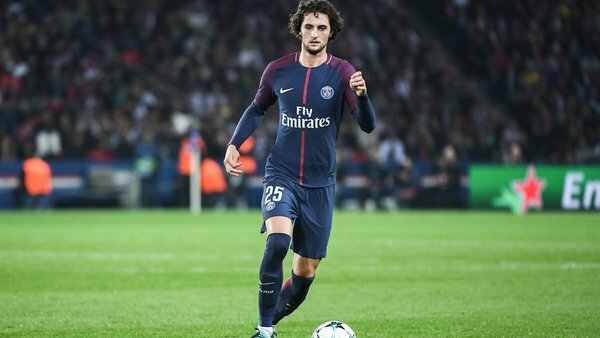 Rabiot is thought to favour a transfer to Liverpool over Spurs, and could be convinced to snub Mauricio Pochettino’s so he can work under Jurgen Klopp. The Parisians’ are furious to have missed out on a sum for Rabiot in January as the 23-year-old star will now run down his deal and leave a free agent at the end of the campaign. Adrien has even been suspended by Paris Saing-Germain for refusing to sign a fresh deal and has not played since December for the French heavyweights. Tottenham Hotspur see Adrien as a major target and were interested in ending their transfer drought by landing the Frenchman. Spurs’s board have not added any new additions to their roster in the last two transfer markets and expect a battle for the former Toulouse player at the end of the season.